This article describes precipitation, or age hardening, fiber strengthening, strengthening due to point defects, and martensite strengthening. Precipitation, or age hardening, is produced by solution treating and quenching an alloy in which a second phase is in solid solution at the elevated temperature but precipitates upon quenching and aging at a lower temperature. For precipitation hardening to occur, the second phase must be soluble at an elevated temperature but must exhibit decreasing solubility with decreasing temperature. By contrast, the second phase in dispersion-hardening systems has very little solubility in the matrix, even at elevated temperatures. Usually there is atomic matching, or coherency, between the lattices of the precipitate and the matrix, while in dispersion-hardened systems there generally is no coherency between the second-phase particles and the matrix. The general requirement for precipitation strengthening of supersaturated solid solutions involves the formation of finely dispersed precipitates during aging heat treatments, which may include either natural aging or artificial aging. Pure aluminum is too soft for most structural applications and therefore is usually alloyed with several elements to improve its corrosion resistance, inhibit grain growth and of course to increase the strength. The optimum strengthening of aluminum is achieved by alloying and heat treatments that promote the formation of small, hard precipitates which interfere with the motion of dislocations. Aluminum alloys that can be heat treated to form these precipitates are considered heat treatable alloys. Pure aluminum is not heat treatable because no such particles can form while many heat treatable aluminum alloys are not wieldable because welding would destroy the microstructure produced by careful heat treatment. 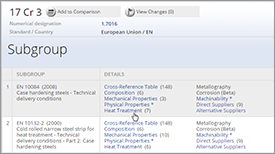 Virtually all heat treatable aluminum alloys are strengthened by precipitation hardening. Precipitation hardening involves raising the temperature of the alloy into the single phase region so that all of the precipitates dissolve. The alloy is then rapidly quenched to form a supersaturated solid solution and to trap excess vacancies and dislocation loops which can later act as nucleation sites for precipitation. The precipitates can form slowly at room temperature (natural aging) and more quickly at slightly elevated temperatures, typically 100°C to 200°C (artificial aging). The degree of hardening obtained depends on the size, number and relative strength of the precipitates. 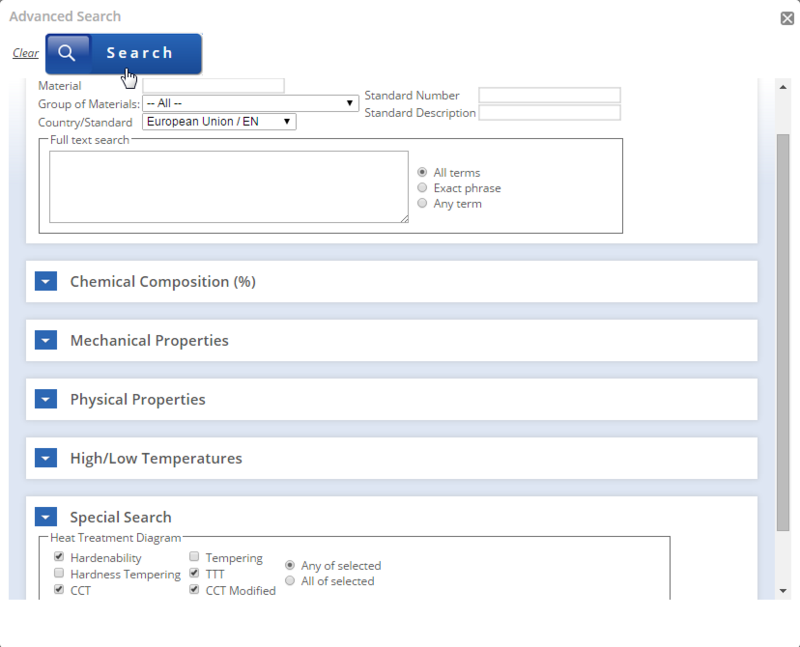 These factors are determined by the composition of the alloy and by the tempering temperature and tempering time. 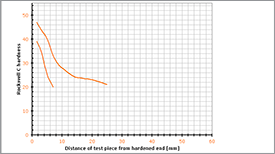 Hardness measurements can provide a good indication of the strength of a material and since strength is related to the number, type and spacing of precipitates then hardness measurements can be used to monitor the precipitation process. In an experiment the aging process of three heat treatable aluminum alloys (2024, 6061, and 7075) was investigated. Each alloy will be solution treated then naturally and artificially aged for up to six days. The effect of the aging treatments is evaluated by hardness testing and metallography. It should be possible to observe the various stages of GP zone and 2-phase formation. The maximum hardness obtained can also provide insights into the kinetics of precipitation hardening and the practical trade-offs involved in specifying the times and temperatures of the aging treatments. The three alloys studied in the experiment are among the most widely used heat treatable aluminum alloys. 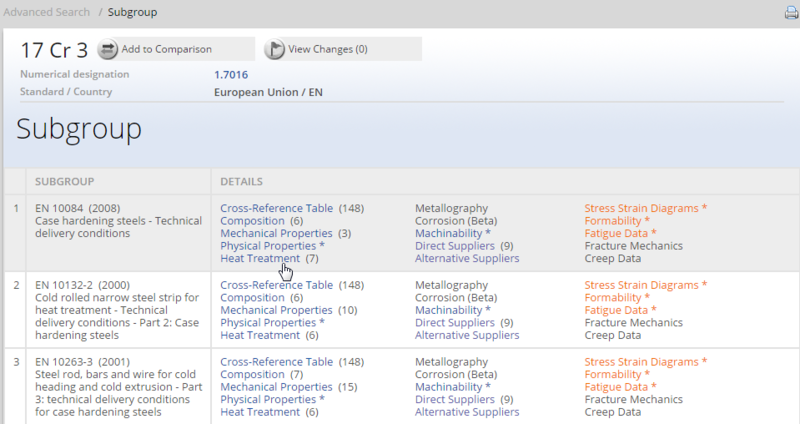 They represent three different alloy groups, Al-Cu, Al-Mg and Al-Zn. 2024-T351 (Al-4.5Cu-1.5Mg-0.6Mn): this is one of the most widely used high strength aluminum alloys. It has good formability in the "O" condition but, like many heat treatable alloys, has poor weldability. This alloy is normally naturally or artificially aged. Natural aging results in the formation of GP zones which consist of Cu and Mg atoms on certain crystallographic planes. Artificial aging produces finely dispersed precipitates of Al2CuMg while over-aging produces incoherent precipitates. Long term dimensional stability suffers due to continued aging. 6061-T651 (Al-1Mg-0.6Si-0.25Cu-0.2Cr): this is the most popular 6000 series alloy. It has moderate strength but excellent weldability compared to other heat treatable alloys, excellent corrosion resistance and a high plane strain fracture toughness. 6061 will age naturally to an essentially stable T4 condition. The softer conditions can be preserved by refrigeration. The formability of the "O" condition can be preserved for 2 hours at room temperature, 2 days at 0°C, and 7+ days or more at -7°C. 7075-T651 (Al-5.6Zn-2.5Mg-1.6Cu-0.3Cr): this alloy has very high strength and hardness. General corrosion resistance is similar to 2024 but loses its strength advantage over 2024 at elevated temperatures. It has excellent plane stress and plane strain fracture toughness. High static strength is not reflected by fatigue resistance. Loss of fatigue strength is thought to occur by progressive breakdown of the hardening particles which lie on slip planes. These particles become progressively smaller until they become unstable and redissolve into the matrix. 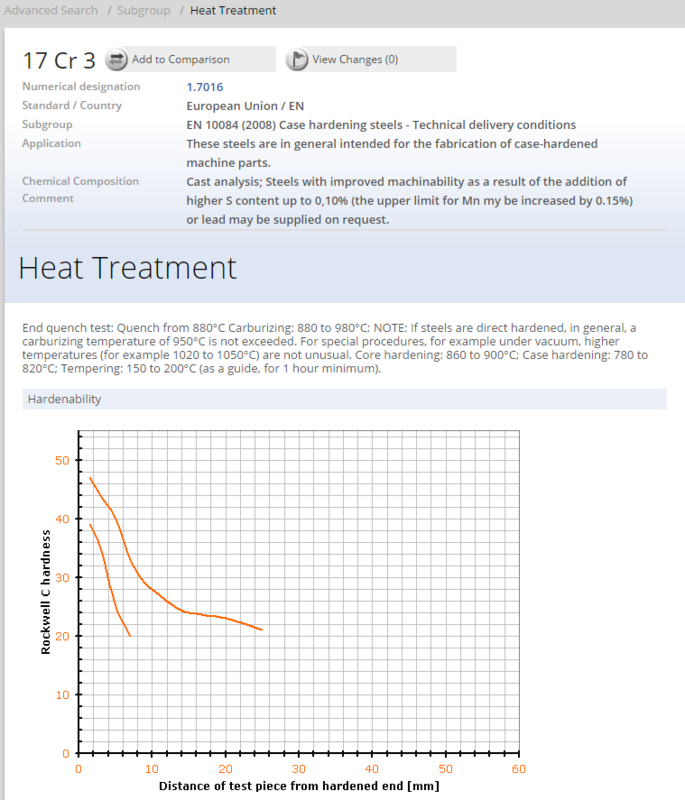 When heat treating avoid overheating, since Eutectic melting or high temperature oxidation may occur. Such material cannot be salvaged by reheating. After annealing, quench as rapidly as possible. Both solid solution and particle strengthening have a significant influence on the deformation characteristics of the alloy. 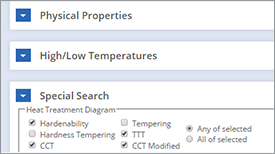 The character of the slip process can have an important influence on the tensile ductility, strain-hardening rate, fatigue crack initiation, and fatigue crack growth rate. It must be realized that increase in strength that is not accompanied by improvements in those other very structure- sensitive properties may not be useful in an engineering situation. 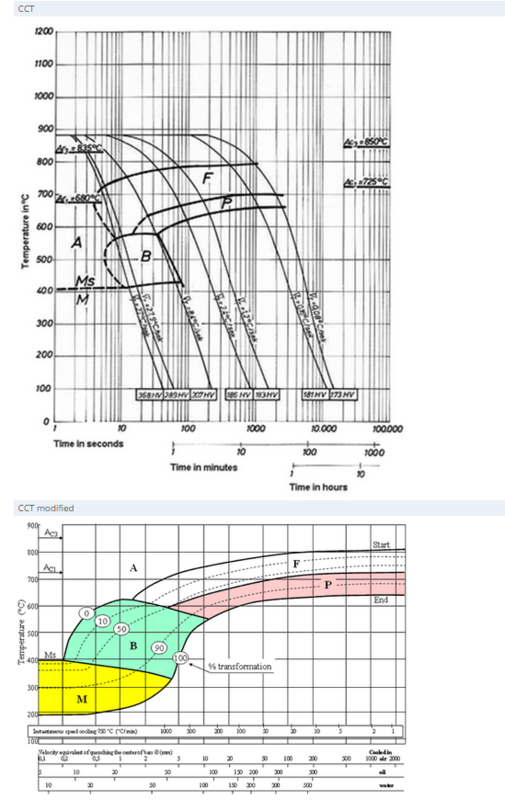 Figure 1: Interplay of various precipitation hardening mechanisms to successive stages in the hardness-time curve. The slip character can be characterized as planar or wavy slip and as coarse or fine slip. Fine wavy slip produces the most homogeneous deformation and generally leads to the best ductility at a given strength level. 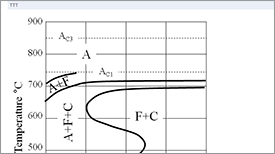 As a general rule, solid solution additions tend to promote either fine or coarse planar slip, because most alloy additions reduce the stacking-fault energy, thereby making cross slip difficult. Solutes which promote short-range order cause coarse planar slip. Strengthening with fine particles can produce a planar-to-wavy or wavy-to- planar slip mode transition depending on the nature of the dislocation-particle interactions. Particles which are sheared by dislocations tend to produce slip which is coarse and planar. Particles which are bypassed by dislocations lead to fine wavy slip. Materials of high strength, and especially high strength-to-weight ratio, can be produced by incorporating fine fibers in a ductile matrix. The fibers must have high strength and high elastic modulus while the matrix must be ductile and nonreactive with the fibers. Because of their very high strength, whiskers of materials such as Al2O3 have been used with good results, but most fiber-strengthened materials use fibers of boron or graphite or metal wires such as tungsten. The fibers may be long and continuous, or they may be discontinuous. Metals and polymers have been used as matrix materials. Glass-fiber-reinforced polymers are the most common fiber-strengthened materials. An important distinction between fiber-strengthened and dispersion-strengthened metals is that in fiber strengthening the high modulus fibers essentially carry all of the load. The matrix serves to transmit the load to the fibers, to protect fibers from surface damage, and to separate the individual fibers and blunt cracks which arise from fiber breakage. A unidirectional array of fibers in a matrix is a highly anisotropic material. One of the consequences of the anisotropy of fiber composites is that they display shear coupling. 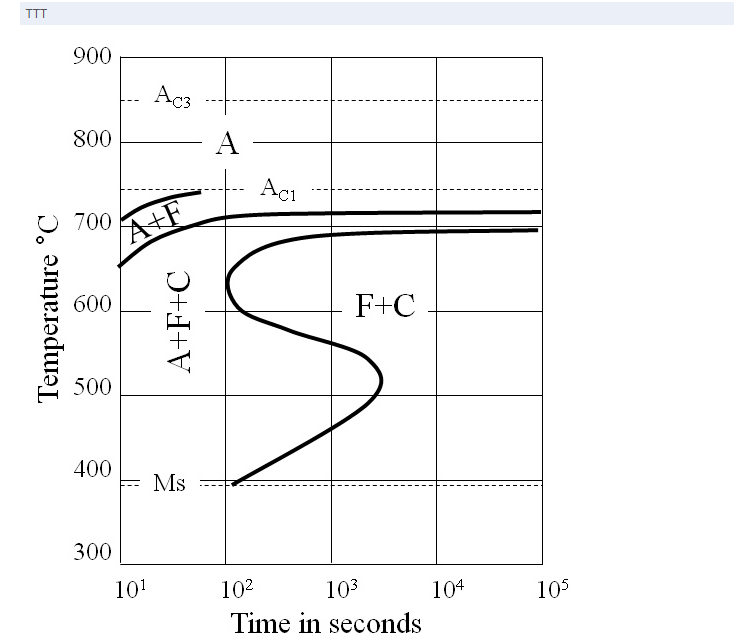 This means that an axial stress produces shear strains and a shear stress produces axial strains. In an isotropic material a uniaxially applied load produces only axial and transverse normal strains. But, in a fiber-reinforced material, in addition to those normal strains resulting from a uniaxial load there is a shear strain. This is compensated for in practice by using a cross-ply laminate in which the fibers have a different orientation in each layer. These effects obviously complicate the design with composite materials. The most basic experiments on the effect of vacancies on mechanical properties were performed by quenching aluminum single crystals from near the melting point. The critical resolved shear stress was increased from 5 to 50 MPa by the presence of quenched-in vacancies. The quench-hardened crystals showed coarse slip bands compared to the soft slow-cooled crystals. These results can be explained by the assumption that the excess vacancies migrate to dislocations and pin them in a way similar to solute atoms. Fast-moving atomic particles create interstitials and vacancies in their collision with a solid metal. Ignoring the structural details of the lattice changes brought about by high-energy radiation, it is important to realize that neutron irradiation can have marked effects on the mechanical properties of metals. 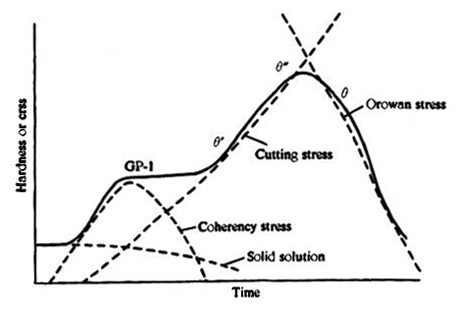 In the tensile stress-strain curve the yield stress is increased by a factor of 2 to 4 for an annealed metal. Face-centered cubic metals, such as aluminum and copper, develop a sharp yield point after irradiation, but in bcc metals, like steel and molybdenum, the yield point is frequently eliminated. The transformation of austenite to martensite by a diffuslonless shear-type transformation in quenching of steel is one of the most common strengthening processes used in engineering materials. 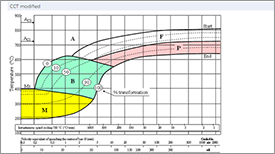 Although martensitic transformations occur in a number of metallurgical systems, only the alloys based on iron and carbon show such a pronounced strengthening effect. Mechanism of martensite strengthening is also characteristic for Al-Cu alloys, (commercial name Aluminium bronze).